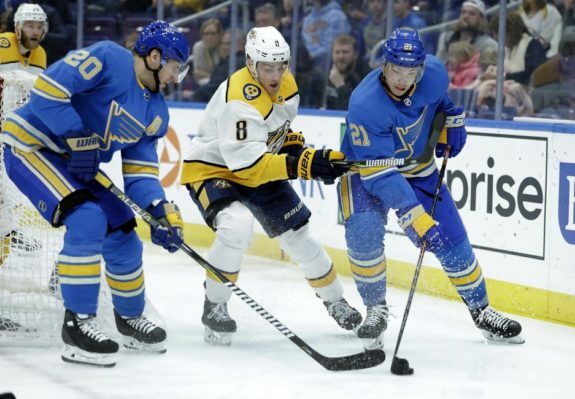 ST. LOUIS — Ryan O’Reilly scored the only goal in a shootout and the St. Louis Blues slowed Colorado’s playoff push with a 3-2 victory over the Avalanche on Monday night. Trying to hold onto the final post-season spot in the Western Conference, the Avalanche had won four straight and were 6-0-1 in their previous seven games. They earned one point to move two ahead of Arizona for the second wild card in the West. Both teams have three games remaining. Tarasenko gave the Blues a 2-0 lead just 14 seconds into the third. Tarasenko scored his 31st of the season when he put in a rebound of a shot by O’Reilly.